The Conference will be held at the University of Belgrade, at the Rector's Office (Kapetan Miša's Edifice - in Serbian: Kapetan Mišino zdanje) and at the Faculty of Chemistry (in the Science Building). These two compounds are located accross the small park at Students' Square in the utmost center of Belgrade. Dr Michael Seery is a Reader in Chemistry Education at the School of Chemistry, University of Edinburgh. His research interests align with two main themes: (1) technology enhanced learning to prepare students for learning and (2) laboratory education. 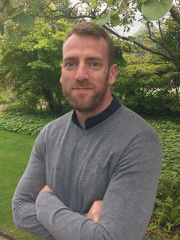 He is a previous winner of the Royal Society of Chemistry (RSC) Higher Education Teaching Award and the (Irish) National Association for Integration of Research, Teaching, and Learning Award. He is Chair of the Editorial Board of Education in Chemistry, a magazine published by the RSC for chemistry teachers, as well as being Associate Editor of the journal Chemistry Education Research and Practice. He is currently writing a book on laboratory education in chemistry, and maintains a blog on various aspects of education at www.michaelseery.com. 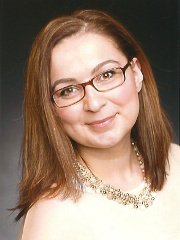 Prof. Dr Silvija Markic is a full professor at the University of Education Ludwigsburg, Germany. Till March 2017 she worked as a senior lecturer and researcher at the University of Bremen (Germany). She finished her teacher training program for grammar school teacher of chemistry and mathematics. She works in the field of chemistry teacher education and researches in the didactics of chemistry. 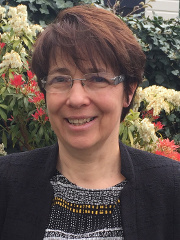 Her research interests include science teachers` beliefs and pedagogical content knowledge, pedagogical scientific language knowledge, linguistic heterogeneity and cultural diversity in chemistry and science education, cooperative learning and alternative teaching methods. Georgios Tsaparlis (B.Sc., M.Sc., Ph.D., FRSC) is Professor Emeritus of Science Education at the Department of Chemistry of the University of Ioannina, Greece. He has taught a wide variety of physical chemistry courses at both undergraduate and graduate levels and has contributed to many science and chemistry education courses. He has focused his research towards improving science and chemistry education through research and practice and has studied structural concepts (with an emphasis on quantum chemistry), the effects of cognitive factors on problem solving, higher-order cognitive skills, the application of non-linear methodologies in education, and many other educational issues, including chemistry curricula. He is the author/co-author of 59 scientific papers in international peer-reviewed journals, the author of chapters in 13 books, co-editor of "Concepts of Matter in Science Education" (Springer), and guest co-editor of the 2014 "Chemistry Education Research and Practice" issue on physical chemistry education: In addition, he has published extensively in his native language, Greek. 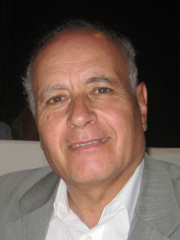 Georgios Tsaparlis was the Royal Society of Chemistry's Education Award Winner for 2016, "for his extensive contributions to chemistry education research over many years including having been the founding editor of the journal Chemistry Education Research and Practice, now the top ranked journal in chemical education". Dr Natasa Brouwer is a senior science education consultant at the University of Amsterdam, Faculty of Science. She works at the Education Service Centre. She is the coordinator of the University Teaching Certificate programme for lecturers in science disciplines at the University of Amsterdam. She is the coordinator of the Faculty of Science Program Council for innovation of teaching with technology. After her PhD in Chemistry she has specialized in chemistry education and the use of education technology for learning and teaching. At the Faculty of Science she consults lecturers in improving their teaching methods and using technology. She collaborates in education innovation projects on university, national and international level, among others European Chemistry Thematic Network (ECTN) projects. She was involved in several ECTN working groups about university chemistry teaching, innovative teaching methods, professional development and qualification of university chemistry lecturers. Her research interest is in using ICT in university science education, specifically to improve course design and learning process, among others by possibilities of Learning Analytics. Can Chemistry Education Be Informed by Practice in the Arts, Humanities and Social Sciences? Prof. Dr Matthew Almond is Professor of Chemistry Education in the Department of Chemistry at University of Reading, UK. He is a National Teaching Fellow and a Principal Fellow of UK Higher Education Academy. He has held a number of senior roles within his university including Head of Chemistry Department, Associate Dean for Teaching and Learning and most recently Dean of the Faculty of Arts, Humanities and Social Sciences. In this position he has worked with a wide range of departments outside chemistry, including history, modern languages and film, theatre and television in helping with curriculum design and review. He has taught inorganic and analytical chemistry at University of Reading for over 30 years, has won several student-selected teaching prizes, has supervised around 50 graduate students and has published over 100 scientific papers. His principal education interests are the integration of skills training into academic curricula and the development of the "Students as Partners" concept. Workshop: How to Prepare Our Students to Enter Job Market? Iwona Maciejowska MSc, PhD, associate professor in Chemistry Education, career adviser and founder of Career Service at the Faculty of Chemistry, Jagiellonian University in Krakow (Poland), the Head of the Center of Teaching Exellence ARS DOCENDI UJ, the Chair of the Division of Chemical Education the European Association for Chemical and Molecular Sciences. She has run educational training courses for school chemistry teachers, doctoral students and university teaching staff. Her research interests have focused on adult education and lifelong learning, and on the teaching and learning of natural sciences, especially using active methods, IBSE and PBL. She has been involved in many international projects and networks, such as 7PR (IRRESISTIBLE, SAILS, ESTABLISH), as well as in editorial boards of five international scientific journals. She has edited and/or published 13 books (e.g. I. Maciejowska & B. Byers (Eds.) (2015), A Guidebook of Good Practice for Pre-Service Training of Chemistry Teachers Krakow, Poland) and over 100 papers and chapters (e.g. Maciejowska, I., Wietecha-Posłuszny, R., Woźniakiewicz, M., & Koscielniak, P. (2014), Application of Case Study and Role-Playing in Forensic Chemistry and Analytical Chemistry Education: Students', Graduates' and Teachers' Points of View. In I. Devetak & S. Glažar (Eds. ), Learning with Understanding in the Chemistry Classroom (pp. 287-304), Springer). Pascal Mimero, Ph.D. in Fine Organic Chemistry Synthesis, MCIC. He is currently Educational Manager of two post-graduate specialized master's classes (Strategic Project Management; Industrial Risk Assessment) at CESI Engineering School since 2001; and Industrial Trainer-Consultant for adult training sessions in organic and analytical chemistry at CPE Lyon Continuing Education Department since 1993; In both case, he is accompanying career evolutions of young graduates and professionals in activity. 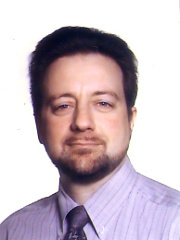 He was an active member of the European Chemistry Thematic Network (ECTN) Association, chairing the EChemTest© computer-based evaluation platform in chemistry, from its creation in 1997 until 2015. 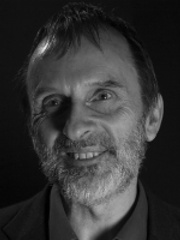 He was previously an Accredited Professor in synthetic organic chemistry at CNAM, and gained his experience in anticancer drugs synthesis as Associate Researcher at UBC (Vancouver BC, Canada), then in analytical chemistry as Industrial Research Engineer at Rhône-Poulenc Industrialisation / Industrial Technologies and Research Centre (Lyon, France). His research interests now span the areas of sciences at the interfaces, education and career evolutions of adults and professionals in activity. Workshop: Team Based Learning - Take an Academic, a Class of Students and Scratch Cards! 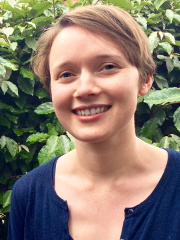 Dr Laura Hancock is a teaching fellow in Chemistry at Keele University (UK) and teaches across a wide range of organic and inorganic chemistry topics. She is particularly interested in authentic assessment and student engagement (both in class, and with assessment and feedback) and promoting a holistic understanding of organic mechanisms. 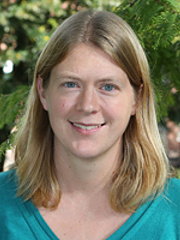 Dr Tess Phillips is a lecturer in Chemistry at Keele University (UK) with research interests in synthetic organic chemistry, medicinal and natural product chemistry and drug discovery. Previous to her academic career Tess worked as a medicinal chemist in the biotech industry. 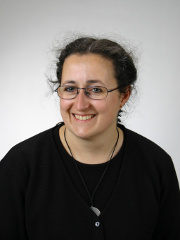 Tess currently teaches on a range of organic and medicinal chemistry modules, where she is investigating ways to increase student engagement and promote active learning through employing both high tech (touch screen apps) and low tech (scratch card) approaches. Tess and Laura started using TBL in their teaching in 2015 and they are two of the founding members of the Keele Centre for Team Based Learning. Their article on the use of TBL in Chemistry was recently published in the RSC journal Education in Chemistry. If you would like to participate in this workshop, please register using our sign-up form! 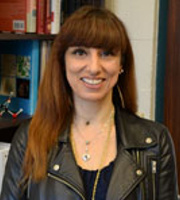 Dr Vasiliki Lykourinou is an Assistant Teaching Professor in the Department of Chemistry and Chemical Biology at Northeastern University in Boston Massachusetts. After her PhD work on bioinorganic chemistry and green catalysis she focused in the development and coordination of freshman laboratory curricula with emphasis on teaching sustainability and green chemistry through cooperative learning and introducing team based learning in introductory chemistry lecture courses. Continuing from her work at the University of South Florida on cooperative she is currently collaborating with undergraduate researchers and chemistry faculty at Northeastern University as well as the Beyond Benign Institute in Wilmington MA to redesign laboratory curricula for introductory chemistry courses to introduce green chemistry as well as develop research inspired projects incorporating biofuels, fuel cells and green catalysis in freshman laboratory learning.